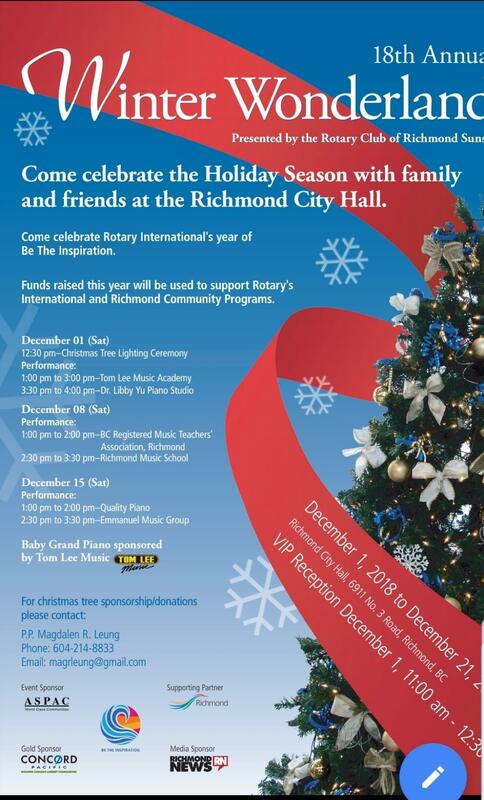 Come and join us in Celebrating the 18th Winter Wonderland at Richmond City Hall. The largest Christmas tree in Richmond will be lighted by Mayor Brodie on Dec 1 Saturday at 12:30 pm followed by concerts at 1:00 pm and 3:00 pm. Bring your friends and family to enjoy the winter festivities and take pictures with more than 30 Christmas trees. You are invited to judge and nominated the best decorated Christmas tree.